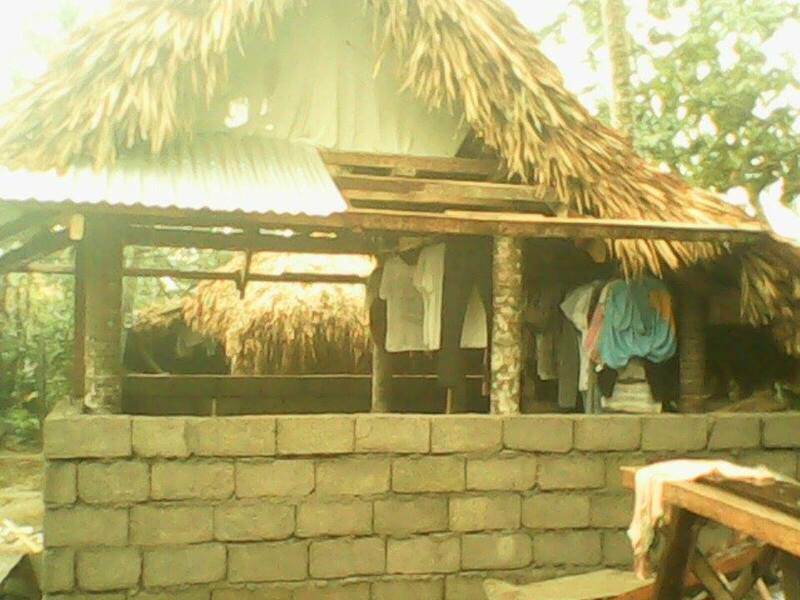 I mentioned in my previous post that my niece failed to bring our digital camera to take photos of the on-going house construction. Fortunately, they sent me some pictures an hour ago. Though the pictures are not clear, I felt elated while looking at them. Two thumbs up for our collaborative efforts. 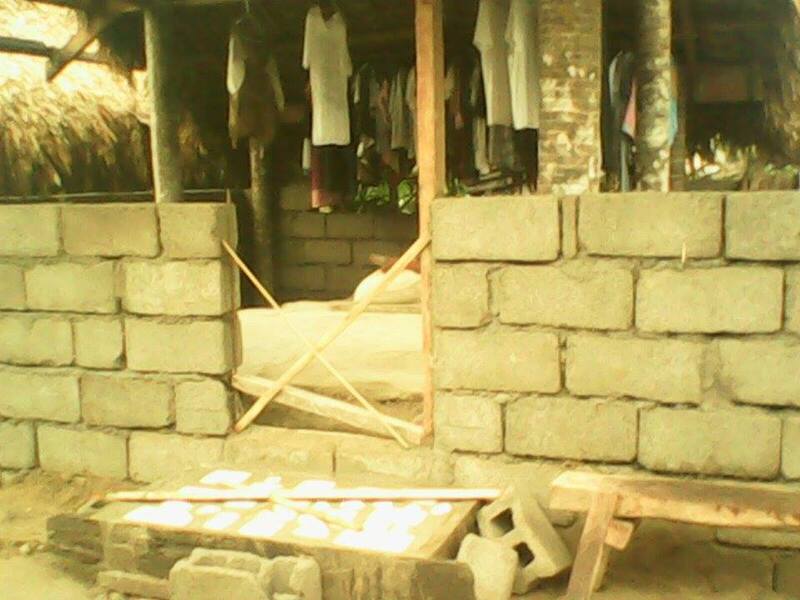 I gave small amount of money for the materials during the start of house construction, then my sister got free construction materials from a foundation who conducted relief assistance/outreach in our barrio. My brother and nephews work together in building it, with minimal fee. 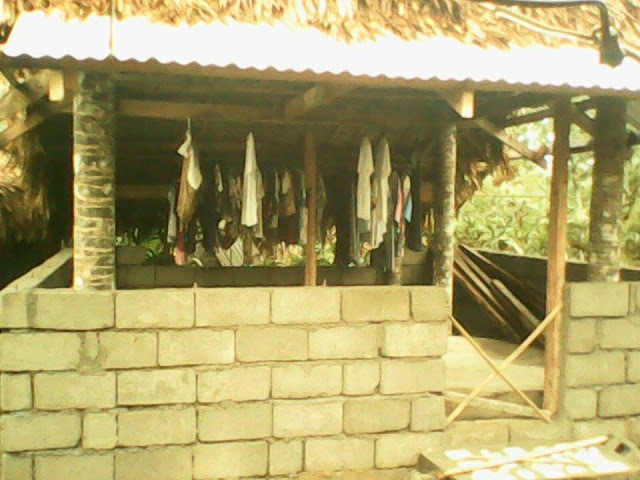 That's what we call the bayanihan spirit. Thank you so much to my brother who is an artist/painter turned experienced carpenter. Craftsmanship at its finest, teehee! He deserves a bonus from your's truly. the materials for the upper half of the walls will be plywood. I suggested maximizing the small area by adding a mezzanine bedroom. More clearer photos, soon! yes! 5 months from now.